The comments in the Merging Faction post on the forum have been reviewed. A voting topic has been created, please view it here if you wish to vote on the Merging Factions feature. Update: Results from the faction merger discussion can be found here. * Tornado Meka - An experimental version decreases the speed and shielding for vastly improved firepower. * Juggernaught Meka - An experimental version decreases armor and shielding for a much faster meka. * Witman Meka - An experimental version decreases the shields and armor of this meka, but adds a targeting system that gives all near-by units a bonus to-hit. * Sun Burst Meka - In experiments, the main weapon of this meka has been improved upon, at the cost of speed and meka protection. Two updates to note: First off, the Faction War planet will now spawn a random number of nodes. The planet will now have at least four nodes, but no more than eight, the number of nodes are determined each time the planet begins its orbit. There will be no indicator of how many nodes have spawned on the planet (so you'll simply have to hunt for them in-order to find them). Second, certain vehicles which are un-common or un-popular now have the possibility of being constructed as Experimental Variants (X-variants). These variants modify the stats of the vehicle and attempt to make the vehicle more popular and usable. Three vehicles currently have X-variants - the Katana Meka, the Death Whisperer Artillery, and the FireStorm Meka. If these options are popular, more X-variants will be rolled-out. A vehicle's description will list any X-variants it has and what those variants do. Lastly, X-variants modify the base design of a vehicle before mods are applied. If you would like to suggest additional X-variants, please do so here. X-variants will appear as an "X" in the variant list for that unit, they are very uncommon and will only appear in (approximately) 1 in 20 vehicles with variants. The issue with missing turns has been resolved, thanks to everyone who provided feedback. Two faction can now merge into a single faction. In-order to merge, the leaders of both factions must agree to combine factions. It costs 1,000fp to merge two factions. All the faction points for the merged faction are lost and that faction is no-longer usable by players. Please post any feedback you have on this idea here. * Due to the increase in intra-faction battles, the amount of command captured Relics payout has been doubled. This should make Relics much more valuable and give factions that capture them an easier time rebuilding their forces. * Players who refer other players will now receive a reward of 250 Command Points when a new player obtains Paid Days with TinyBucks. * Factions can now view Combat Messages from a specific faction planet. User constructed vehicles now have a chance of being a variant. A vehicle can have up to three variants that modify its armor, shields, shield recharge, damage, energy weapon recharge and ammo. The number of construx the player building the vehicle has (plus any shared construx that player's faction has) determines how many variants a vehicle receives. If a vehicle is constructed with a variant, it will appear in the tab along with any mod slot it receives. Vehicles cannot have a variant that would not give them a benefit (ie. a vehicle with only Energy weapons could not be an Ammo variant). - You can now create Buy Orders for the Black Market. Buy Orders allow you to buy TinyBucks, Ore, and Command at a price you set. When these items are sold, the server looks for a Buy Order that is within the price the seller is asking for, before posting the sale to the market. When you post a Buy Order, keep in-mind: the Buy Order that is offering the higest price gets first try at a sale, so the player offering the best price will have their Buy Order fulfilled first. - Players with the Faction Invite admin right can now delete pending invitations to other players. To celebrate the end of 2006, TinyWarz is giving away an Xbox 360 to one lucky player! All you have to do to win is play ... here are all the details: From now until the end of December, every computer controlled Bandit destroyed on any planet has a small chance of having an Xbox 360 Modification. If you find and destroy this Bandit then salvage the Xbox modification you'll win an Xbox 360 ... it's that easy! Fine print: All players have a chance to win, no purchase is required. Only one Xbox 360 Core System will be given away. Free shipping will be provided if the winner lives in the U.S. ... non-U.S. residents may need to pay shipping charges. Every bandit has an equal chance of having the Xbox modification (you cannot fail to salvage the Xbox mod). Update: RoseThorn found the Mod and won the Xbox 360! + Turn messages (attacks, commands issued, mining, etc.) have been optimized and re-organized. You will now see which shots inflict critical hits and which shots destroy a unit. You will now only see "unable to fire" message for weapons shooting at targets that are out of range. + You can now deploy to bases with unpowered buildings (you still cannot deploy to a base when all of its buildings have been destroyed). Vehicles that deploy to a base now suffer from "Deployment Shock" which gives a large to-hit penality for 4 turns (4 Gunnery Levels). These changes allow faction members to come to the aid of bases that are under siege, while still giving attackers a chance to finish-off the base. + Each turn you are deployed, Auto Evac will check to see if you are receiving data, if the Auto Evac time is exceeded and the game has been unable to reach your computer, you will instantly Evac from the planet (if you have enough Command to pay for an Emergency Evac). The default setting for Auto Evac is 0 (not enabled), you can enable Auto Evac from Account Settings. The minimum setting is 3 minutes, which means that if your game becomes unresponsive, you will Evac from a planet after 3 minutes (as-if you issued the Command the moment your game became unresponsive). + Lastly, the server will now take into account the amount of time the previous turn needed to process when computing how much time is left in your turn. The countdown timer will not start until after the previous turn is completely processed. + New players now begin the game with one or two 1-slot vehicles (depending on starting faction) and some Mods. Reports are coming in that the Sha'Kahr have developed even-more powerful structures to content with invaders who harrass their base. Four new alien buildings have been spotted, beware of these deadly additions of Alien technology. + Faction War Nodes now pay 40 Faction Points every 12 hours to the faction that is holding them at that time. + Destroyed buildings on the Faction War planet no longer give experience. + Slow moving targets are now a little easier to-hit, faster moving units are now a little harder to hit. + You can now see the Shield and Armor values for faction member's vehicles and buildings. + Command Tower swapped with Resupply Compound in Construct Faction Levels, Resupply Compound now gives +6 Armor +6 Ammo per turn. + Maximum number of buildings a Node can support has been increased to 65. + Failed salvages now report back what chance of success was. + Faction Level Tweak - Construction: Low level shield/armor bonuses improved, high level shield/armor bonuses reduced, shield recharge bonuses increased. + Given the addition of a new planet and the above changes, any faction leader that would like to re-spec their Faction Levels should email me in the next 10 days for a reset. + Aerodynamic Armor and Shield Shunt mods now modify a percentage of Shields and Armor. You will will now see your approximate chance to-hit when you attack an enemy. Commands which improve your to-hit (Aimed Shot, Fire Mission, Paint Target etc. ), vehicles (Sentry and Brightlance) and mods (Eagle-eye and Sure-shot) which provide a bonus to-hit will also be reflected in the to-hit number that displays when you order an attack. Commands issued by your opponent will not be relected in the to-hit value. A new type of planet is now in the game: Faction Wars. The Faction War planet contains 4 Nodes that (when captured), slowly pay-out Faction Points, up to 75 per day, per captured Node. Also, after your faction captures a Node, your Commander (if you have Faction Base Rights) can deploy buildings from Faction Storage to their location (from the Commands panel) to help defend your node. Buildnigs that are deployed are controlled by your Faction, they will automatically engage and attack enemies that come into range. You must pay Command points to deploy buildings to a node (the Union Treasurer ability reduces the amount of Command you have to pay). You can also Evac a building that is at your Commander's location. Once captured, faction nodes can also be deployed to by all players in your faction. Be warned: Bandit activity has been reported on Faction War planets, exercise extreme caution when deploying there. + Deployment messages for players you have muted will now appear in Planet Chat. + A new order can now be issed to your units: Attack Target. This order tells your unit to target and attack the next unit you click on. The Attack order now simply loads the Attack panel for the unit you select. + The first orbit for the Faction Wars planet wil be 24 hours, this time will be extended for future orbits. + The second orbit for the Faction Wars planet will be 5 days, this time will be extended for future orbits. + The Mammoth is now a Unique Unit, repairs 3 points of armor per turn. 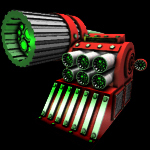 + Un-Powered Turrets can still attack, but un-powered buildings do not recharge shields. Bandit Changes: Bandits are now smarter and more aggressive. They will now chase you as long as they can see you. Bandit have also gained access to new units, keep an eye out for bandits in improved vehicles and buildings. All Attack has been removed from PvP planets (players on Training planets may still use All Attack to strike Bandits). This order allowed players to deploy large numbers of units in stacks that could only be controlled with the All Attack command. Removing this command removes the stalemates these "unit stacks" created. Beacons and Faction Nodes now broadcast their location once every 5 turns. When a salvage command is issued one of two chances-to-salvage is used: The basic Salvage command has a 15% chance of salvaging a destroyed unit, the Advanced Salvage command has a 30% chance. If you have the Salvager ability, a 10% bonus is added (this applies to any vehicle that salvages not just your Command Crew). If your crew is in a Fiddler, Spider or Hermit a 10%, 20% or 30% bonus is added. 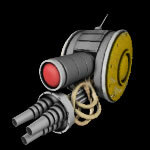 Lastly if the vehicle is equipped with a Salvage Bot and/or Droid a 5% and/or 10% bonus is added. This amount is then subtracted by the amount of damage past 0 the destroyed vehicle took on it's kill shot (ie. a vehicle that was destroyed by a massive attack it will be harder to salvage, a vehicle that was destroyed by low-damage weapons will be easier). Mods are ~33% harder to salvage than vehicles. A Commander without the Salvager ability issues a Salvage command for a destroyed unit that took 5 damage past 0 on the kill-shot using a Fiddler equipped with a Salvage Bot. The chance to salvage the vehicle is: (15 + 10 + 5 - 5) = 25% chance & ~15% chance of salvaging mods. A Commander with the Salvager ability issues an Advanced Salvage command for a destroyed unit that took 15 damage past 0 on the kill-shot using a Hermit equipped with a Salvage Bot & Droid. The chance to salvage the vehicle is: (30 + 10 + 30 + 5 + 10 - 15) = 70% chance & ~45% chance of salvaging mods.